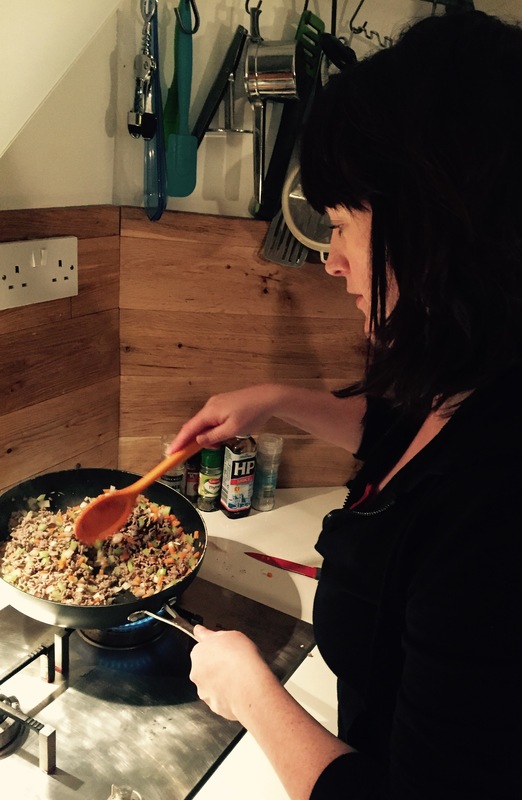 Spag Bol with a Cheeky Little Twist! 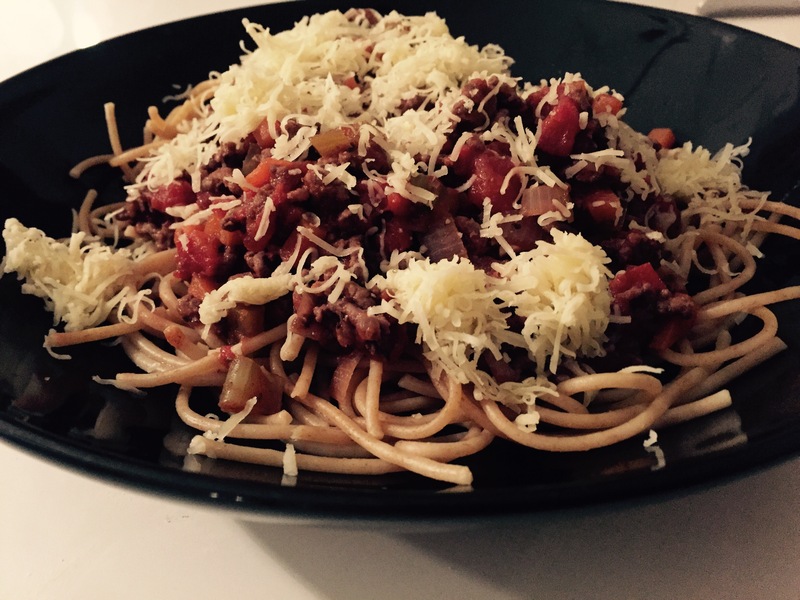 It’s quick, it’s tasty, it’s nutritious and it’s possibly one of best loved dishes in the world…..Spaghetti Bolognese! The basis for my Spag Bol recipe is similar to that of a traditional recipe, with the main exception being a dollop of HP Sauce (Brown Sauce). 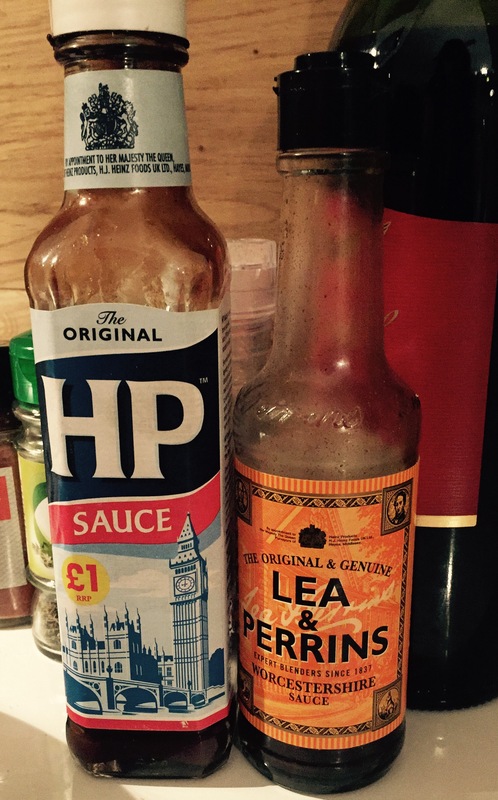 Yes, good old HP Sauce! Some of you may not agree with my choice of this extra ingredient, but honestly the flavours gives the dish an extra lift, with its earthy spiced & rich flavours. Go on, give it a go! 1) Heat up the oil in a large frying pan on a medium heat, add the minced beef and cook until browned. 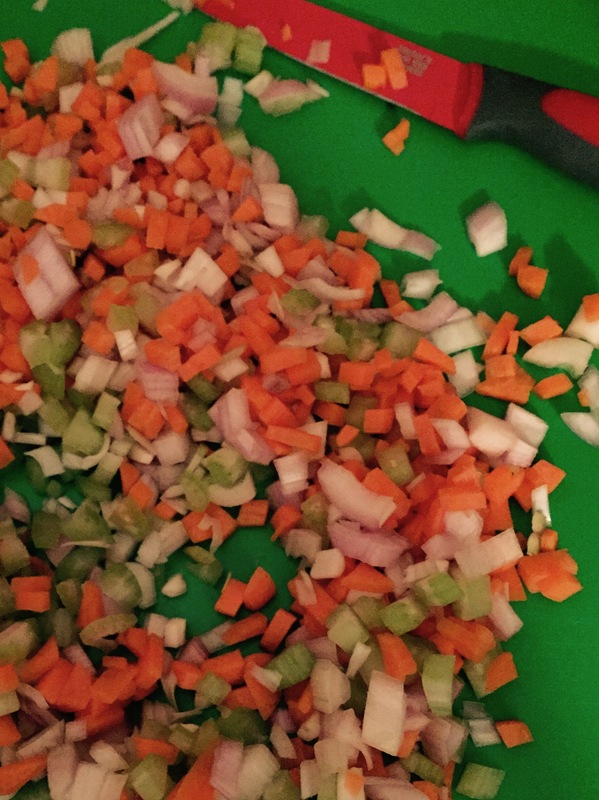 2) Add the chopped onion, celery & carrot, stir well and sweat for 5 minutes. 3) Next add the tomatoes, stock & red wine. Stir well again and cook for another 5 minutes. 4) Follow this with the HP and Worcestershire Sauces, Thyme, Cayenne Pepper and Bay Leaves. Stir well and season with Salt & Pepper. 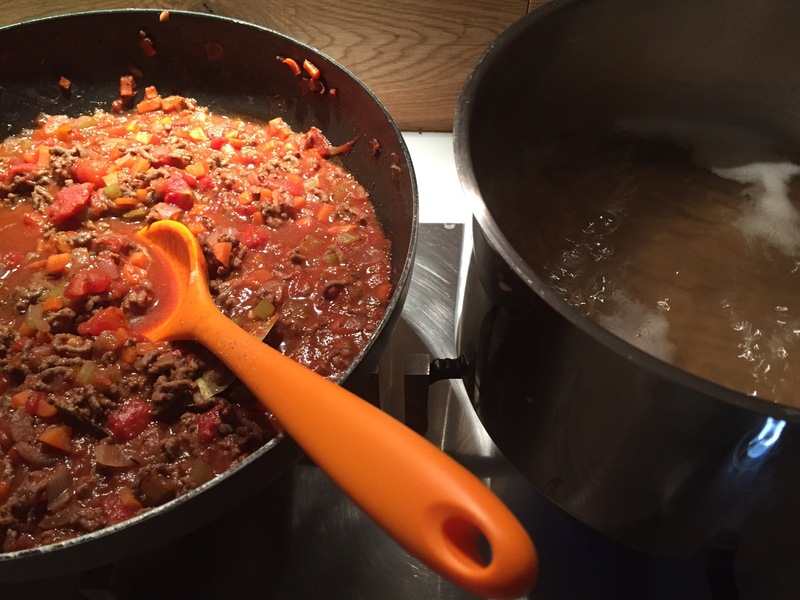 5) Reduce the heat and simmer the Bolognese. Meanwhile cook the Spaghetti in water, bring to the boil and drain. 6) Serve out the Spaghetti, spoon over the Bolognese, sprinkle with cheese, then get stuck in!